Shirat Ayam Settlement, Gaza strip Israel, Aug. 2005..Waiting for the evacuation. 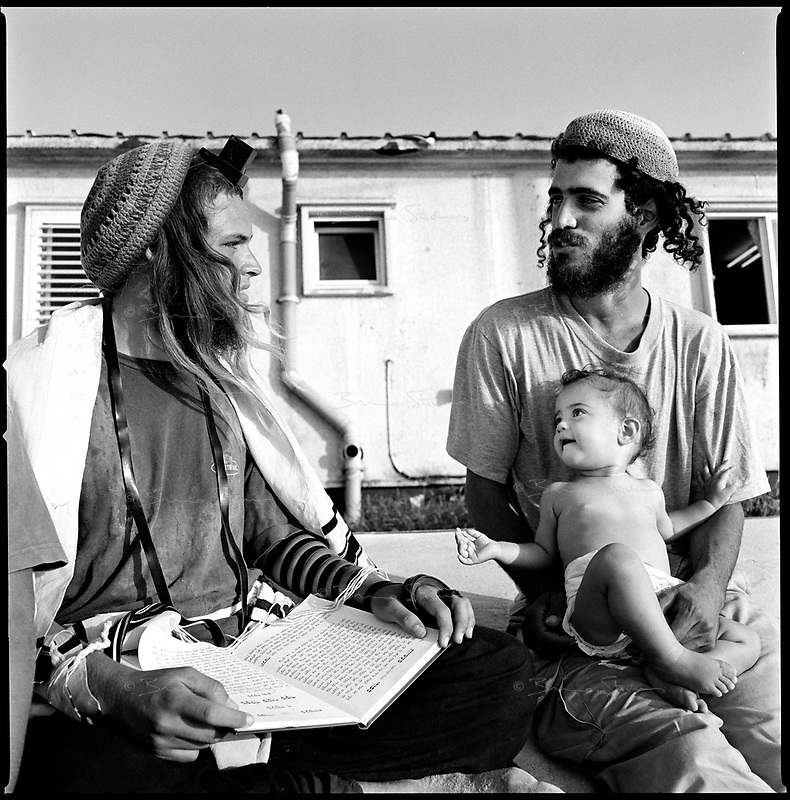 Tomer, right, with his infant son, discusses the Torah with friends in front of the settlement' synagog, hours before being taken away by the army.